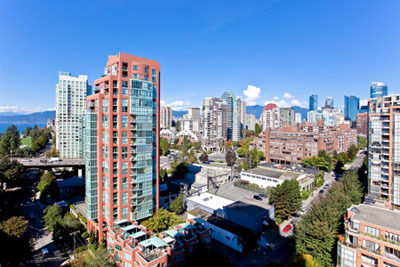 Located in the heart of Vancouver, Beach Towers, a luxury condo development, is a mere twenty minutes stroll or four minute drive along Hornby St. to Pacific Centre, one of Canada's largest shopping centres located in the city center. 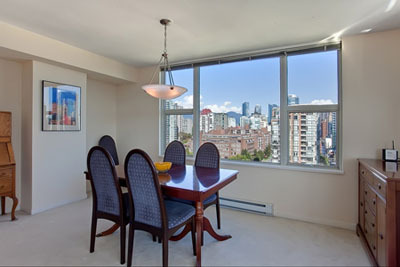 Within minutes of the condo are some of the finest dining experiences available anywhere in Vancouver and an abundance of boutique and internationally known shops located not only in Pacific Centre, but as well in shopping areas such as Robson, Davie, Granville Streets and 4th Ave. Just one half block from Beach Towers is the ferry across False Creek to world famous Granville Island where there is the largest market in the city, artists displaying their talents, wonderful dining experiences, pubs and may other amenities. 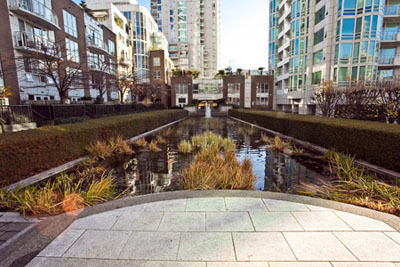 A wide path around False Creek makes for a wonderful walking experience along the north side going east, around to the south side to Granville Island. Beautiful beaches and parks are a mere five minute walk from Beach Towers. 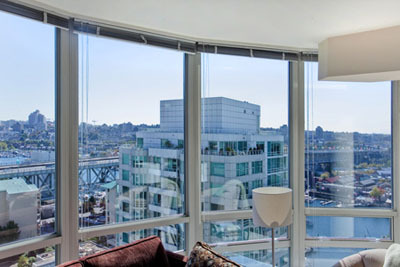 With an awe inspiring view of the city, the suite, located on the 19th floor, has panoramic views of south east Vancouver, False Creek and Granville Island through floor to Ceiling windows in the living room and city center through an expansive dining area window. These rooms contain both modern and classical comfortable furnishings for complete relaxation while enjoying the gas fireplace and viewing wide screen TV. 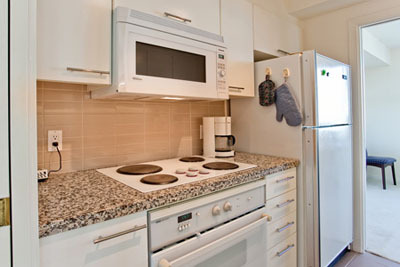 The well equipped kitchen has Jenn-air cooking appliances, large refrigerator and whisper quiet dishwasher. There are two bedrooms, one with a queen bed and four piece ensuite with Jacuzzi tub, a large closet and panoramic view of the city center. 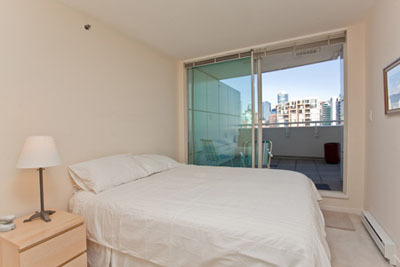 The second bedroom is equipped with a queen bed as well, has its own covered balcony looking to the city center. 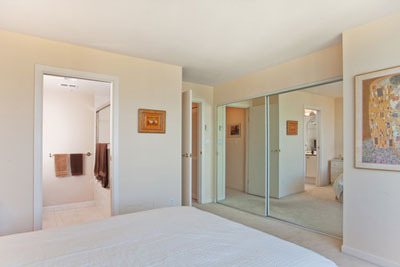 Immediately adjacent to this bedroom is a four piece bathroom. 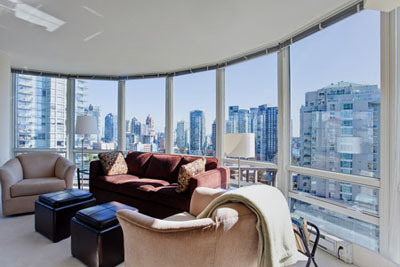 Beach Towers is a very sound proof secure building with 24 hour concierge service, double door entry to the garage which is patrolled around the clock. A designated parking stall is located on the fourth level, from which there are three rapid elevators to all levels of the building. There is a newly renovated lap pool with views to a courtyard with an enormous outdoor garden pool and fountain surrounded by beautiful gardens. 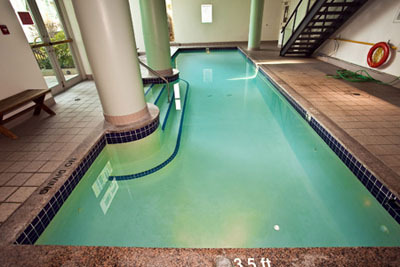 Before or after a swim, enjoy a sauna adjacent to the pool. 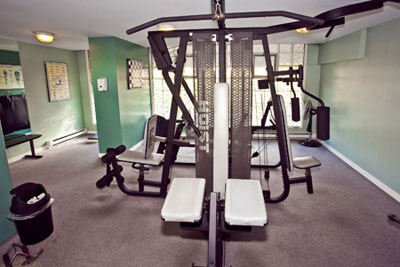 The recreation room located one floor higher, is equipped with exercise and training equipment such as tread mills, weight machines, weights, etc. 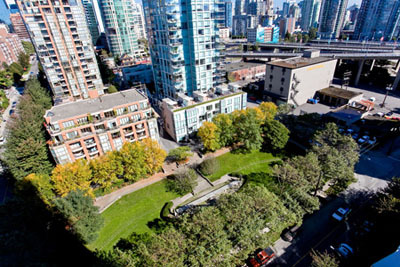 A transit bus to anywhere in the city or lower mainland is one half block from the main entrance to Beach Towers. 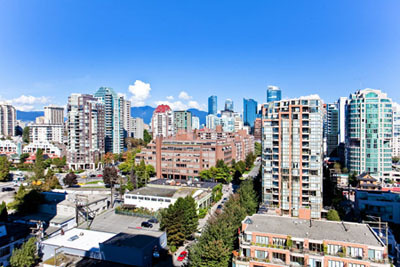 Buses make every section of the city available within minutes and connects to all Sky Train rapid transit stations in Metro Vancouver as well as the Vancouver International Airport. 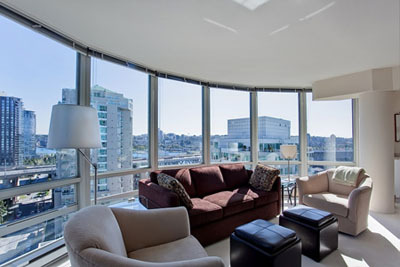 The condo was poorly equipped, with poor furnishings, minimal cable service, and construction noise during the days. Floor plan was very poor, with the only deck off the second bedroom, and poor kitchen layout. Furniture looked like it was re-runs from someone's house. There were no fans when we arrived, and poor ventilation. Parking was challenging, as we had a small car spot we drive SUV's, and no bike storage. However, location was great, and service from EMR was good. 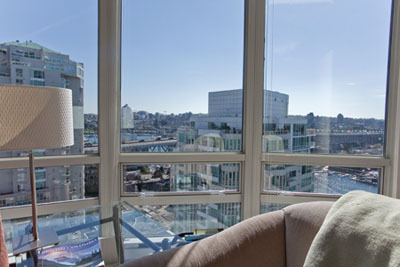 Thank you very much for providing your experience at the Beach Towers. We are sorry the property did not meet your needs. 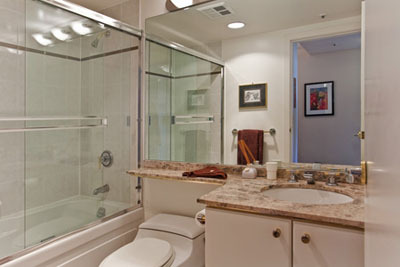 We are confident the property images portray the furnishings and the layout accurately. 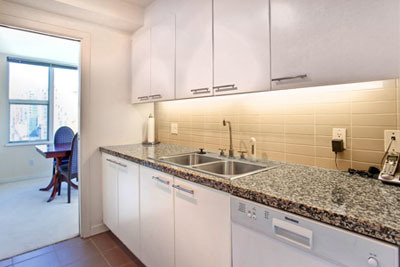 EMR Vacation Rentals agent did make you aware of the construction nearby and you did a drive by viewing of the building to confirm its location and the construction work. However, this is a major metropolitan centre with construction going on throughout the business hours of the day time. We have no control over building projects throughout the city. Most parking stalls in downtown Vancouver condo towers are built for mid sized SUVs and smaller vehicles. 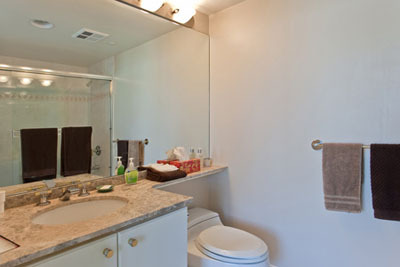 Large trucks and over sized SUV's find it challenging to fit with a lack of space on either side of the stalls. 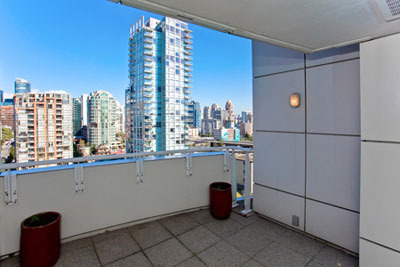 We experienced a mini heat wave during your stay but weather conditions in Vancouver generally are cool and opening a window will let the ocean breeze come through, however, this property should invest in a couple fans we agree. 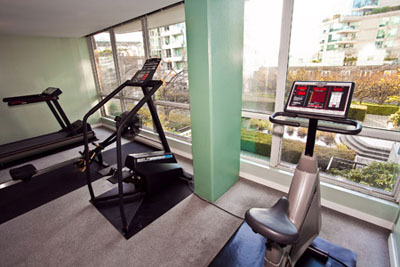 As for bike storage, the property does not advertise any additional storage. We are happy to see you liked the location and felt our service for you was good. 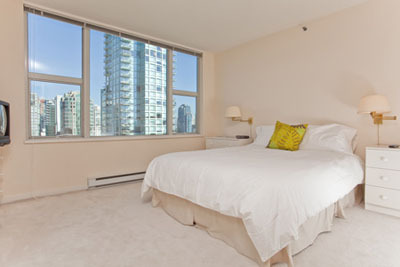 We hope to be able to find you a property more suitable to your standards the next time you stay in Vancouver. Exceptional service from Isabel, from our first inquiry to the return of our deposit. The apartment was in a wonderful location and our greeter, Simone, helped us feel right at home. 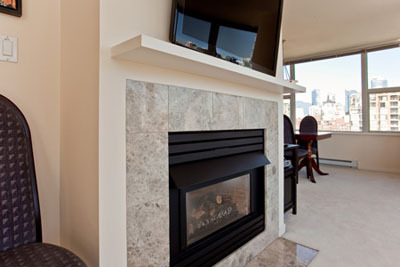 Have already booked with EMR Vacation Rentals again for our next trip and referred to friends. Thanks!